The I-Key RX Long Range 6 Pin Receiver is an Intelligent I-Key receiver that is design to be plug into a standard automatic gate or car park barrier controller that has a 6 pin plug in port. 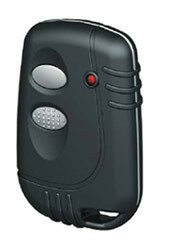 This receiver act as standard auto-gate remote control system but with an additional Security Feature added to the system. These system is very useful to be installed in Military, Airport, Seaport, Oil & Gas Installation and any facilities that required very high security remote control where secured authenticated access control is needed. Use together with the I-Key Transmitter, the user can even use the transmitter as a normal ID tag on the facilities access control system. Thus every movement within the facilities can be log in. i-Key technology provides an added layer of security to your access control system over and above the standard Wiegand format. As i-Key pendant and receiver are encoded with a unique customer code, so card information only gets to the access control system when customer codes match. The result of this is an extremely secure system, reducing the risks of compromised data or duplicate pendants being passed to the access control system which can be common place on less secure technologies. Ultra high security can be provided by combining i-Key with a custom facility/site format for a customer. 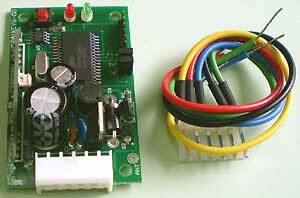 The i-Key 6 PIN receiver has been designed to connect to a standard gate motor drive control. The i-Key pendants can be learnt into each 6 PIN receiver (Up to 250 users) to allow the user to operate the gate from the safety of a vehicle. i-Key technology is also incorporated into the 6 PIN receiver. i-Key technology. Receivers and pendants require matching customer codes to function. The customer code reduces the risk of compromised data or duplicated pendants.